The untold story of how America’s secret war in Laos in the 1960s transformed the CIA from a loose collection of spies into a military operation and a key player in American foreign policy. January, 1961: Laos, a tiny nation few Americans have heard of, is at risk of falling to communism and triggering a domino effect throughout Southeast Asia. This is what President Eisenhower believed when he approved the CIA’s Operation Momentum, creating an army of ethnic Hmong to fight communist forces there. Largely hidden from the American public—and most of Congress—Momentum became the largest CIA paramilitary operation in the history of the United States. The brutal war lasted more than a decade, left the ground littered with thousands of unexploded bombs, and changed the nature of the CIA forever. With “revelatory reporting” and “lucid prose” (The Economist), Kurlantzick provides the definitive account of the Laos war, focusing on the four key people who led the operation: the CIA operative whose idea it was, the Hmong general who led the proxy army in the field, the paramilitary specialist who trained the Hmong forces, and the State Department careerist who took control over the war as it grew. Using recently declassified records and extensive interviews, Kurlantzick shows for the first time how the CIA’s clandestine adventures in one small, Southeast Asian country became the template for how the United States has conducted war ever since—all the way to today’s war on terrorism. BILL LAIR HELD OUT HIS lanky arms, the sleeves of his button-down shirt rolled up to the shoulder. Smoke wafted through the one-room building with mud floors and walls made of corrugated metal and thatch. Besides an open stove in the back of the room and a simple wood table in the middle, there was little other furniture in the building. Lair had been given a low wooden bench to sit on, and he struggled to fold his legs under it. Most of the other people inside the building stood or squatted on the muddy ground. Lair was surrounded by men and women from the Hmong hill tribe, one of the largest ethnic minority groups in the Southeast Asian nation of Laos, the landlocked country wedged, like a fishhook, among Myanmar, Thailand, Cambodia, China, and Vietnam. They had come for the baci, the Thai and Laotian ceremony in which people are symbolically bound through the tying of strings around each other’s wrists and forearms. The ceremony had been going on since the late afternoon, and Lair already had at least twenty white strings tied around his arms. His arms would be covered in strings by night. There seemed to be no end to the mass of people crowding through the door of the house and waiting to see the American with the bristly buzz cut and the thick Clark Kent glasses who spoke fluent Lao with a Texas accent. Behind the Texan, women loaded up simple metal plates with pig parts, sticky rice, and fruit, and handed them to Lair, nodding at him to eat. The Hmong women mostly waited to eat until men were finished. Three shamans chanted just behind Lair. Many Hmong believed that when they chanted, the shamans literally entered another world. The men writhed and sang and spat as if possessed. Vang Pao claimed to be leading an army of nearly five thousand irregulars against the Vietnamese and Laotian communists. But Lair saw not only young men who might be fighting types but also younger women, children, and older Hmong. Some of the older Hmong men and women had come to the baci dressed in what Lair believed was their finest attire: baggy black trousers, embroidered black vests, and strings of silver ornaments. It was the winter of 1961. Lair had already lived in Southeast Asia for more than a decade, and he had attended baci ceremonies before. Groups throughout Southeast Asia had bacis all the time. Bacis were held, and strings tied, when new homes were built, when relatives relocated, when babies were born, when men and women were married off, when visitors arrived from far away. A village of Hmong might hold fifteen or twenty baci ceremonies in one month, if many auspicious events occurred at one time. Operation Momentum was a plan to arm and train the Hmong under Vang Pao to fight in the growing civil war in Laos, which pitted communist insurgents called the Pathet Lao, backed by North Vietnam, against Laos’s government and its non-communist allies such as Vang Pao and his men. The war in Laos had raged on and off almost from the time Japan surrendered in World War II in 1945, leaving in Southeast Asia former French colonies where local leaders battled to determine the future. France’s loss to the Viet Minh, the Vietnamese independence forces, in 1954 had left Vietnam divided, with the Viet Minh’s leaders in control in the north, and a vacuum of power in Laos. (The Viet Minh was led by communists, but the coalition fighting France for independence also included some non-communist nationalists.) Laos’s weak central government had maintained control of only parts of the country. The civil war in Laos, which had been going on for nearly a decade, had flared up intensely. Conservative and communist Laotian forces now struggled to control Laos, as well as other countries in the region. And in Washington, Laos increasingly appeared, at least to American officials, to be part of a broader effort by international communist forces to dominate Asia—and the world. It did not seem to matter to American leaders that Laos was so small it had only one major city, Vientiane—the capital, which was basically a muddy village—or that most people in Laos lived on subsistence farming and had little idea of the differences between communism, democracy, and other political systems. As a French colony, Laos had mostly been ignored by Paris. But President Dwight D. Eisenhower and his staff, attuned to the domino theory of one country after the next falling to communism, saw Laos as a bulwark—a nation where the United States could make a stand to prevent communism from spreading west out of China and North Vietnam into Thailand and India and beyond. A pro-Western Laos would place a state between Vietnam and Thailand, a critical US partner, and would make it easier for the United States to support non-communist forces in Vietnam. In one of the most famous moments of his presidency, at a press conference in April 1954, Eisenhower had publicly enunciated this domino principle as a reason for supporting France’s continued struggle against independence forces in Vietnam. Agency headquarters had approved Lair’s plan to train and arm the Hmong, which he had outlined in an eighteen-page cable, almost instantly upon receiving it in the winter of 1960–61. The White House took a personal interest in the plan for the operation. After the CIA’s Far East division and its director signed off on Lair’s idea, the plan was approved by President Eisenhower’s staff, on one of Eisenhower’s last days in office in January 1961. It helped that Lair had already run a successful CIA training program for Thai commandos in the 1950s. Some of those Thais would join him in running Operation Momentum, and in fighting Laos’s civil war; Bangkok would eventually send thousands of its men to fight in Laos. The CIA leadership had signed off on starting with a training program for a thousand Hmong men and then expanding from there.7 The operation was budgeted at around $5 million US, but by 1962, it would grow to over $11 million. That was only the start for an undertaking that would command $500 million annually by the end of the decade, with Vang Pao controlling a force of over thirty thousand soldiers.8 A budget of $500 million in 1970 dollars was equivalent to $3.1 billion in 2016 dollars, for an operation in a country that today has less outward trade with the rest of the world than Luxembourg does. Vang Pao had spent his entire adult life fighting: fighting the Japanese, fighting with the French against the Viet Minh, and now fighting with the government against the Pathet Lao and its backers in Hanoi. Like many of the Hmong, he was intensely proud of the group’s freedom. Many Hmong had originally migrated south from China into Southeast Asia, and they traditionally migrated through the mountains, hunting and practicing swidden, or slash and burn, agriculture, and governing their affairs through a kind of communal consensus building. The group repeatedly fought any powers, including the French at first, who tried to control its society. Historian Mai Na M. Lee, an assistant professor at the University of Minnesota Twin Cities, notes that the Hmong fought for centuries—against the Chinese, the French, and others—to maintain their independence and try to win a state for their people. Although they never gained their own state, they forced these powers to give them a measure of autonomy.9 Like many Hmong, Vang Pao resented any outside control of the hill tribe’s affairs and feared that a government managed by Vietnamese communists would turn Laos into a much more centralized state, starving the Hmong of their freedoms. Vang Pao had developed a personal animus toward the Vietnamese as well. The long French Indochina War had lasted from 1946 to 1954, as France tried desperately to hold on to its Indochinese colonies. During that war, and then during Laos’s on-and-off civil war, Vang Pao had watched many of his friends, aides, and allies be killed by the Vietnamese and their allies. The fighting in the French Indochina War was fierce; many of the French soldiers came from the Foreign Legion, a force of professional soldiers drawn from all over the globe that was known for its willingness to take enormous casualties. The Viet Minh, meanwhile, were brutal not only toward captured enemy soldiers but also toward civilians. Fighting with the French and then with Laotian anti-communist forces, Vang Pao himself had repeatedly shot, bombed, and stabbed to death Vietnamese troops in Laos. The Hmong leader had organized the baci to inaugurate Momentum and introduce Lair to clan leaders in the hill tribe. He roamed the muddy house, encouraging everyone to eat and drink more, and talking, rapid-fire, in Lao, in Hmong, and in the French he had learned from French officers. Vang Pao was moving constantly—gesturing, introducing Lair to clan leaders who had come for the baci, telling stories of the French Indochina War, commanding some of his men to find Lair more drinks. He commanded his wives—like many powerful Hmong men, he had multiple wives—to bring food to guests who were not eating at that minute. (Vang Pao had married women from different Hmong clans to unite several clans behind him.) As a musician played the thin Hmong bamboo mouth pipe and stomped his feet on the mud floor, Vang Pao himself tied the final string around Lair’s wrist, binding him metaphorically to the tribe. Vang Pao led Lair toward the shamans, who waved pungent incense candles around their heads and blessed the nascent cooperation.10 Locally brewed rice alcohol flowed liberally. Vang Pao’s men handed balls of sticky rice to Lair, to make sure that the Texan had something in his stomach to absorb all the liquor. In the months after that first baci, even before Operation Momentum had grown into a giant undertaking—the biggest in CIA history—Lair and Vang Pao often discussed a contingency plan if the whole war turned bad. If the Hmong losses became unbearable, Vang Pao would take his wives, and his officers, and all the Hmong who had fought with him, and migrate wholesale across the Mekong River, which divides Laos and Thailand. Thai northeasterners often spoke Lao rather than standard Thai, and many had actually come from Laos. Lair even, on several occasions, discussed this option with the station chief in Vientiane, and with the head of the Far East division. Still, no one above him at the agency actually granted permission for this bailout option to ever become reality.21 The CIA men declined to tell Vang Pao that the bailout plan had no formal approval. The baci for Bill Lair might have seemed like an ancient ritual, taking place in huts with no modern amenities and guided by shamans. But although Laos was geographically remote from Washington, this kingdom with a population smaller than that of Los Angeles now sat at the center of America’s foreign policy universe. After France gave up its attempt to keep its Indochinese empire in 1954, the Eisenhower administration had made a series of decisions that increasingly involved the United States in Vietnam, allowing the South Vietnamese government in 1956 to cancel elections planned for both North and South, and sending military advisors to train the South Vietnamese. The White House did not seem to have made similar commitments in Laos. With Eisenhower and then Kennedy paying so much attention, American analysts would scramble to learn about the tiny kingdom. The US Embassy in Laos began to expand and would become a vast complex. The United States helped broker the 1962 Geneva accords, signed by the United States, the Soviet Union, North Vietnam, South Vietnam, and China (among other countries), which committed all outside powers to respecting Laos’s neutrality and not sending forces into the country. Then all of the signers ignored the accords. The US government maintained the fiction of the accords, however. Washington opted instead for a covert war in Laos, the first such secret, CIA-run war in American history. Operation Momentum started small, just after that first baci ceremony, in 1961. 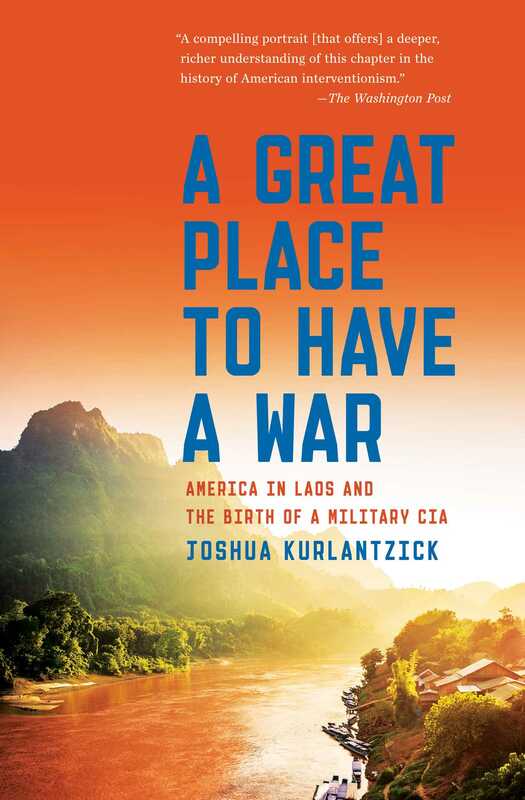 At the beginning, the war was to have a light footprint: just a few CIA officers training and arming Hmong, bloodying the Vietnamese and Laotian communists with guerilla attacks, and then vanishing. The Hmong would fight for themselves and for their land and freedom, with American training and weapons. In Laos, remembered Richard Secord, a US Air Force officer who served in Momentum on loan to the CIA, “the war . . . was the reverse image of the war in Vietnam. In Laos, we [the anti-communist forces] were the guerillas. The Pathet Lao and the North Vietnamese army held some of the towns and most of the roads.”34 (In truth, the Pathet Lao and North Vietnamese held roads in Laos in the northeast and east, but not in central and southern Laos until late in the war.) In South Vietnam, the South Vietnamese army and the United States held the roads and the towns but often could not stray more than a mile from the road without risking being attacked by communist forces. But as Laos became a bigger priority for the agency, the program would balloon in men and budget. More and more Americans would arrive. It would grow into a massive undertaking run by CIA operatives on the ground, and by the agency and its allies in the Lao capital and back in Washington. The United States would build a vast proxy army of hill tribes in Laos—mostly Hmong but also several other ethnic minorities—that would number in the tens of thousands. The secret war would transform the lives of American operatives and the hill tribes they fought with just as clearly as it would devastate the lives of Laotian civilians. And above all, the war would transform the CIA. Although the agency had existed for fifteen years before the Laos operation began in earnest, it was a relatively small player in the American policy-making apparatus before the Laos war. The agency concentrated on intelligence and political work, like trying to overthrow foreign governments believed unfriendly to the United States, and not on managing whole wars. But a US government that had assumed global responsibilities in the years after World War II faced an American public that, following the bloody stalemate in the Korean War, which killed roughly 36,000 Americans while resulting in a shaky cease-fire at the 38th Parallel in Korea, had little desire to send American troops to fight more foreign wars. A secret war, and one that utilized relatively few Americans, was a safer choice politically. Meanwhile, in 1961 the CIA’s leaders desired a much greater role for the agency, but they could never match the US military’s influence over policy toward Europe or Northeast Asia. Now they saw a unique opportunity to increase the agency’s powers. The CIA found in Laos a country where it already had amassed influence, in the heart of a Cold War battlefield, and which had been largely ignored by the American military. These CIA leaders saw that an inexpensive—in American money and lives, at least—proxy war could be a template for fights in other places around the world, at a time when presidents were looking for ways to continue the Cold War without going through Congress or committing ground troops. Laos would be a dramatic innovation for the CIA; a transformative experience. The agency had never mounted a significant paramilitary operation before the secret war, let alone one as massive as the Laos operation would become. In fact, no spy agency anywhere in the world had launched such a massive paramilitary operation, including air strikes, such large contingents of forces, and the overall management of battle strategy at times. The Laos war would prove the dividing line for the CIA; afterward, its leadership would see paramilitary operations as an essential part of the agency’s mission, and many other US policy makers would come to accept that the CIA was now as much a part of waging war as the traditional branches of the armed forces. Indeed, the experience that the CIA gained in paramilitary operations in Laos would serve the agency well, and in many other parts of the globe. Although it mounted other large paramilitary operations after the Laos war, none of these operations employed over a hundred thousand people, even at its height. None involved the massive airpower of the Laos war, either. Laos war veterans would lead future CIA paramilitary operations in the Americas, South Asia, and other regions, as the agency focused increasingly on killing rather than spying. Having Laos experience would be seen within the agency as desirable for paramilitary officers looking to move to other locations around the globe. The shift begun in Laos essentially culminated in the years after September 2001, when the CIA focused intensely on paramilitary operations. By the 2010s, the CIA oversaw targeted killing missions all over the world, ran proxy armies in Africa and Asia, and helped manage its own drone strike program designed to kill members of the Islamic State in Syria (ISIS) and other parts of the Middle East. The CIA now has become such a central part of war fighting that even the other large US government agencies, which during the early era of the Cold War tried tenaciously to block the CIA from gaining more influence in Washington, have largely accepted the CIA’s massively expanded war-making duties—the duties it took on first in Laos. Occasionally, a Cabinet official such as Donald Rumsfeld, secretary of defense under President George W. Bush, has tried to take back war powers from the CIA, with little success; though Rumsfeld attempted to beef up military intelligence’s ability to conduct operations overseas, the CIA blocked him until it was allowed to oversee the Pentagon’s intelligence operations.39 Rumsfeld relented. The resigned acceptance by heads of other Cabinet agencies of the CIA’s massive, growing paramilitary capabilities is the biggest sign that a militarized CIA has become a permanent part of the American government. “Excellent.... 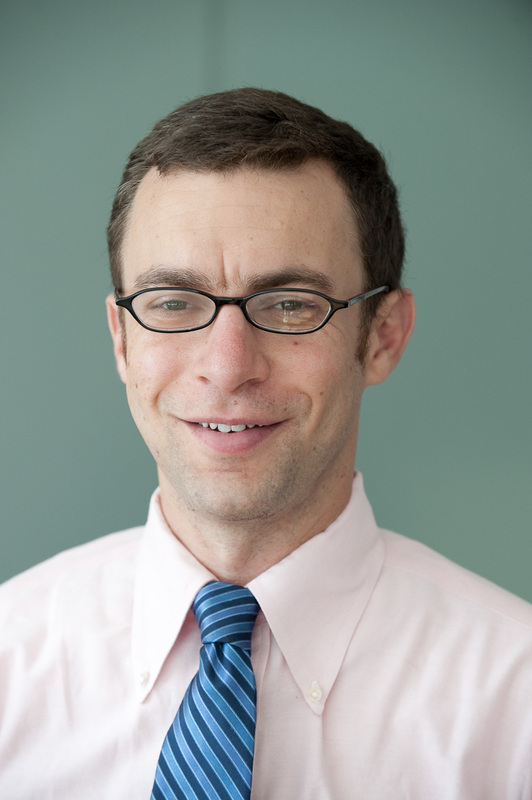 Using an effective combination of firsthand reporting and a thorough reading of the best primary and secondary sources, Kurlantzick tells... an instructive tale... [that] continues to have relevance in the 21st century."